Some lives, like that of Banjo Clarke, are so special thy touch countless others without trying. A descendant of Truganini, Banjo was born in the early 1920s in the Framlingham Forest near Warrnambool, Victoria, a member of the Kirrae Whurrong tribe. Some lives, like that of Banjo Clarke, are so special they touch countless others without trying. 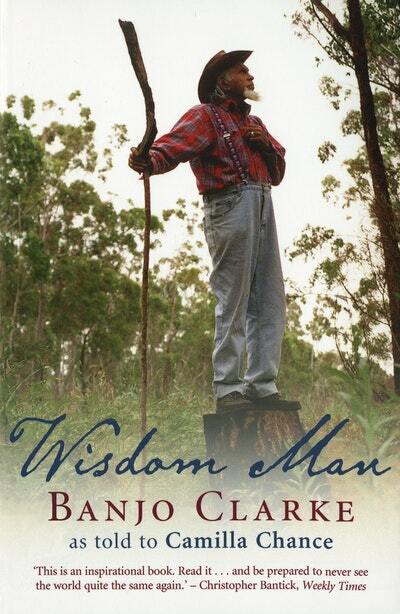 Banjo was born in the early 1920s in the Framlingham Forest near Warrnambool, Victoria, and by the time he passed away he was known and loved by thousands for his wisdom and kindness. He carried a swag during the Great Depression, fought with Jimmy Sharman's famous boxing troupe, built roads for the army in World War II, and had 67 great-grandchildren. Despite the great hardships he faced in his life, Banjo was renowned for espousing love and forgiveness, sustained by his deep connection to his land, his ancient culture and its spiritual beliefs. His conviction that these could prove the saving of the world was his motivation for telling his story. Love Wisdom Man? Subscribe to Read More to find out about similar books.